Moisture can cause a lot of damage to your home, especially in the basement. It can cause mold, leaks, damage to materials, and can even lead to cracks in your walls and foundation over time. Whether you plan to finish the basement or not, moisture issues should not be overlooked or ignored. It’s important to repair any structural damage and water leaks and then to waterproof as soon as possible and especially before finishing your basement. You may know exactly how you want to use your finished basement and where everything will go, or you may have no idea. Whether you have a plan in mind or not, it’s important to consider the design and floor plan of your finished basement. Renovating your basement needs to take into consideration electrical wiring, pipes, the sump pump, the water heater, the furnace, and more in addition to how you actually want to use the space. The last thing you want is for your investment to end up with a poor design and dysfunctional layout. Going in with a solid design and the best layout for your space ensures you end up with a finished basement that meets your needs and results in more usable, livable space. A poor plan or design for a finished basement can end up blocking important valves and instruments. When planning out your finished basement, you need to consider electrical outlets, easy access to important equipment and shutoffs, and overall comfort. Before renovation begins, you should also have a solid plan in place for how you will manage the temperature in the basement. Because the atmosphere is different than your above-ground rooms, it’s usually a good idea to install a separate thermostat for the basement with its own floor registers or baseboard heaters. Another big mistake is disregarding the windows. Current windows should be inspected for proper structure and seals. Any issues should be repaired or the windows should be replaced. This helps prevent future moisture issues and can help prevent heating and cooling loss. You will also need to consider your residential building code as you may need a larger window or an egress window for a livable basement. There’s a lot to consider when it comes to finished basements. In addition to the previous mistakes, another common one is not thinking about other details like soundproofing, lighting, or the stairs. Unless your stairs to the basement are already perfect, you’ll want to include the stairway in your basement renovation. 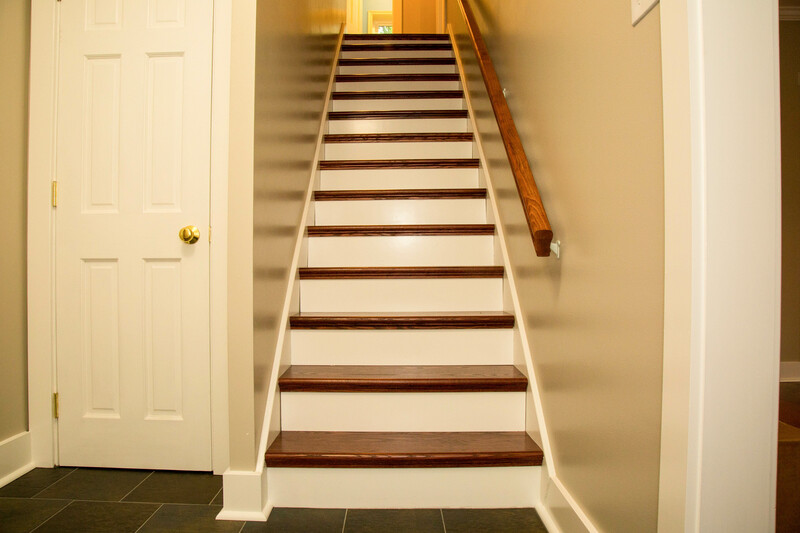 Most of the time, basement stairs are too narrow, too steep, or are potentially old, damaged, or unsafe. Including stairs in your basement renovation gives you the chance to widen the area, increase headroom, and also make them more inviting and safer to use. Basements tend to be noisy. Not only are the mechanicals for the house running there, but you’re also turning this area into a livable space that people are going to use, which will increase noise. Incorporating soundproofing during the renovation can help minimize noise and keep everyone happy whether they’re upstairs or in the basement. Even with windows in the basement, you’re not likely to get a lot of natural light. So, it’s important not to ignore lighting when you’re finishing the basement. Poor lighting can create a dark and uninviting atmosphere and affect the usability of the room. Ensuring that your new space has adequate lighting makes a big difference and can help lighten and brighten the entire atmosphere. These common mistakes can cause your finished basement to become damaged over time or just plain unenjoyable to use. Working with a home improvement contractor that has experience with finished basements ensures the job is done right, that your financial investment is protected, and that you end up with a new livable space that you love. 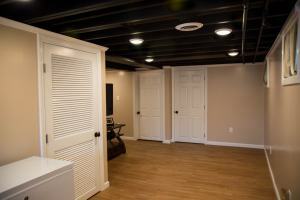 Contact Zephyr Thomas at 717-399-4708 today to talk about finishing your basement!